Sometimes it takes tripping over one small tree to make you notice the forest around you. In this particular instance, a game of Fiki football was the catalyst to realizing just how many small activities and skills are being lost due to the failure of fathers to pass them along to the kids. And believe me, business has noticed as they’ve taken up the slack and made money in the process. We’re outsourcing fatherhood. Fiki – Flick It Kick It – football is a cheap little game available at Five-Below, a glorified dollar store that caters to tweens and teens with individually minimal amounts to spend. Along with a thinly stuffed leather triangle is a plastic football goalpost attached to a base. The point is to take turns flicking the triangle across the table and if the triangle stops with any part of it extending over the opposite edge – your opponent’s goalline – then you score a touchdown. Then kick it through the uprights and you score the extra point. What struck me was that this is the exact game that we played on the cafeteria table after lunch thirty plus years ago. Almost any of us could make a triangle out of notebook paper, with the ends tucked into folds, and proceed with play. The goalpost was made by touching the opposing index fingers then holding the thumbs upwards. But this never made it to the next generation and now some enterprising nebbish is profiting from it. Other companies are profiting from this loss of institutional fatherhood knowledge. Home Depot and Lowes regularly have Saturday morning classes for kids, showing them how to do basic woodcrafts like birdhouses and pinewood derby cars. Things are nicely arranged and laid out in the workarea, typically located near the tools that the farsighted marketers hope to eventually sell to the 3 – 5% of kids who take up this type of hobby. Kids might be there with a parent or they might be left in the charge of the employee while the parent shops. If the kid has a parent there, it’s probably a parent – father or mother – who has minimal access to tools and/or little knowledge of what to do. Likewise, there was recently a series of books for boys and girls with activities that were fun, cheap and popular in previous generations. Authors and publishers have realized that there’s money to be made here and are pursuing it. Not all of this loss can be pegged to fatherhood alone. There was a time when kids were together enough that they passed childhood’s institutional knowledge to one another, and that amounted to the imagination and games. But other knowledge isn’t being passed along by fathers, either due to not having learned it during their own youth, fear or self-absorption. This is why we’re outsourcing fatherhood and turning it over to those who largely have no interest apart from profit. 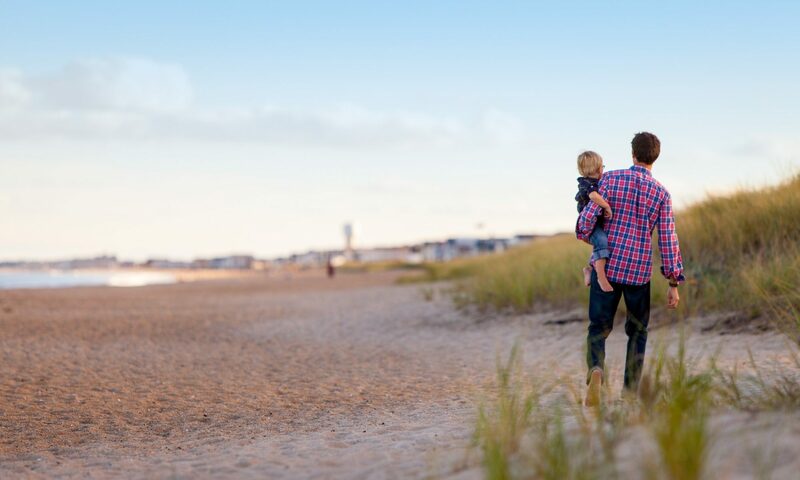 The divorce rate in the past several decades, climaxing at nearly 50% of marriages in the early 1990s, has left many men without the fatherhood model upon which to draw in their own experience as a father. Their lack of a father to share this knowledge has deprived them of that same knowledge to pass to their own children. This is compounded by the fear that their own failed efforts will lead to embarrassment in front of the kids and the self-absorption of many men in their own activities. Fathers have to do more with the kids. This doesn’t mean that they should pick up tools with which they have no familiarity and have at it, but instead focus on what they do know and work on sharing that. Sports, hunting, tinkering, whatever it takes – just utilize it and pass it along to the kids. And as to fear, follow the old adage that if you don’t mention you’re unfamiliar, they won’t notice unless you say something. Then go out and improve as you go.